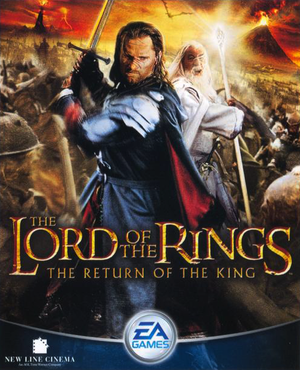 Folder LOTR Return of the King Data may be named differently, based on the system language. 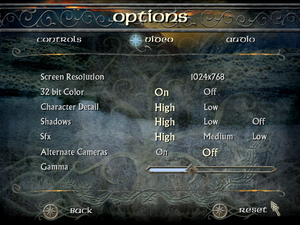 Frame rate is capped at 62 FPS. 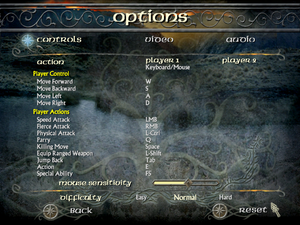 Download Widescreen fix by nemesis2000. Extract lotr.7z files to the installation folder (password: lotr). 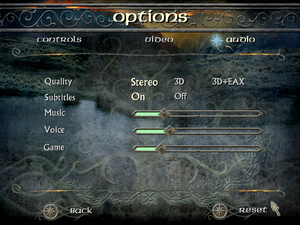 Edit lotr.ini to set the resolution. Supported exe size: 2 874 232 bytes. Type in the name of the game. In Path type in a path to your ROTK.EXE file. Check fields: Hook enabled, Run in a Window, Hook all DLLs and Remap Client Rect. Go to a Video tab and check the field: Prevent Win Maximize. Go to a DirectX tab and check: DirectX8. Click OK and start the game without closing DxWnd. Extreme mouse declaration applied to a cursor. This page was last edited on 3 April 2019, at 02:18.